Which SuperTopo guidebooks cover Big Bar? Charlie Barrett does the mega-classic Triple Cracks V7! Tom Slater on Center Stage. Warming up on Jug Haul. 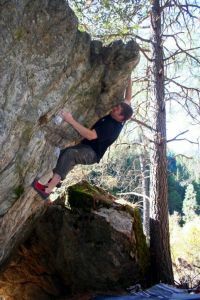 Summit on Talon Direct V5.